Our boy, Bricks, has improved immensely from Dr. Gabriel's acupuncture treatments! He suffered 2 vertebral fractures 7 years ago with a recent acute episode of intense pain. We have seen the orthopedic surgeon, PT, and Dr. Gabriel for acupuncture. His greatest improvement with mobility resulted from acupuncture. He is normally nervous and edgy at the Vet, but has come to understand Dr. Gabriel is helping him heal. He even gave her some love at the last session - something I have never seen him do outside of his family. Thank you for bringing our boy back to his joyful self. 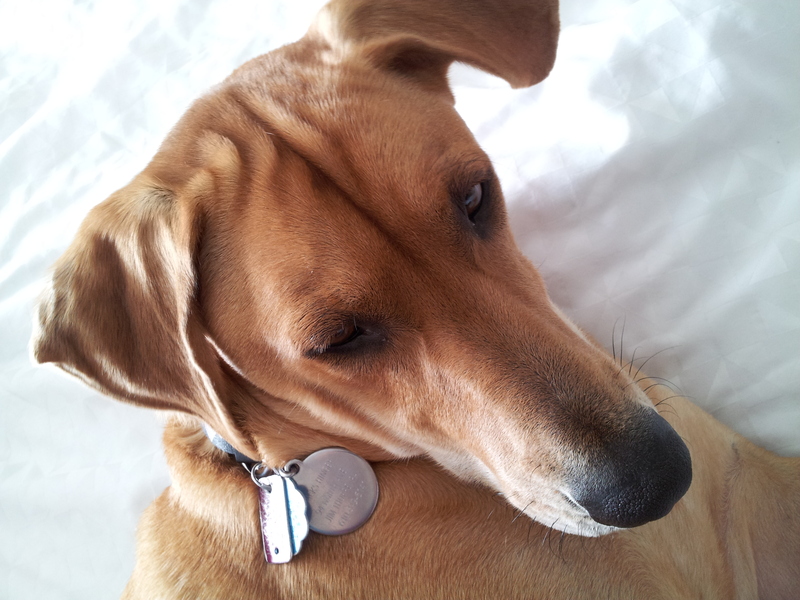 Reese became very ill at 1 1/2 years of age. After testing it was determined her kidneys were deformed and that was the reason they were not working correctly. She was put on a special diet and still got frequent UTIs resulting in many vet visits. It was suggested I try a holistic approach and I found Dr. Gabriel. 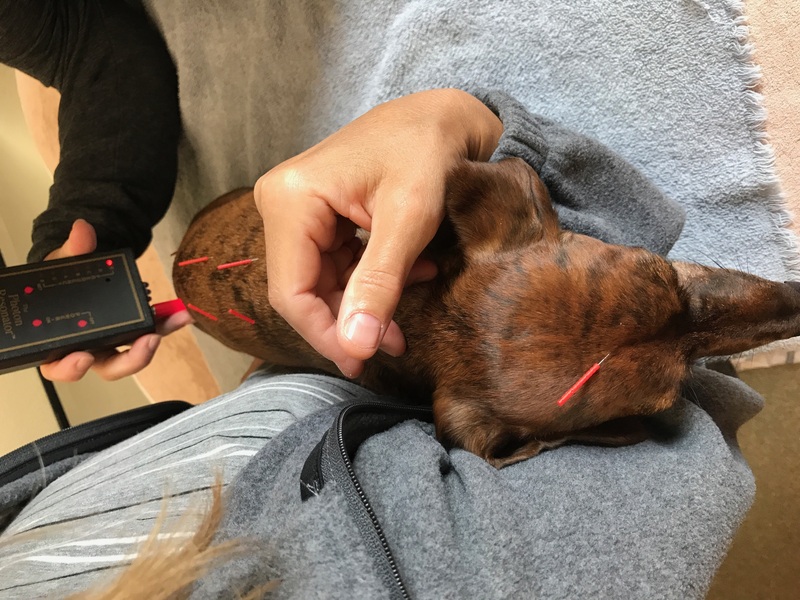 She has been treating Reese with a combination of acupuncture, Chinese herbs and supplements since she was 2. Reese is now 5 and doing great! Her UTIs have dramatically decreased and we haven’t had any hospitalizations for her kidney issues since starting with Dr. Gabriel! Reese loves going to her and I can talk to Dr. Gabriel about any other unrelated problems Reese( or my other dog, Lexi) has and she is always willing to give me ideas to try! We are so lucky we found Dr. Gabriel! Zoey “threw her back out” 3 times in one year. She literally cried out loud in pain when touched and could barely walk at times. We went to four different vets, was on multiple muscle relaxers, steroids and pain meds. Surgery would have cost thousands of dollars, requires months of inactive recovery, and has no guarantee. But after ONE ACUPUNCTURE treatment from Dr Gabriel she was like a puppy: running up and down the stairs! We have been seeing Dr Gabriel once every couple of months for over a year now and NO back problems whatsoever! Drop the mic. We found Dr. Gabriel a few months after our 16 year old Westie got diagnosed with bladder cancer. 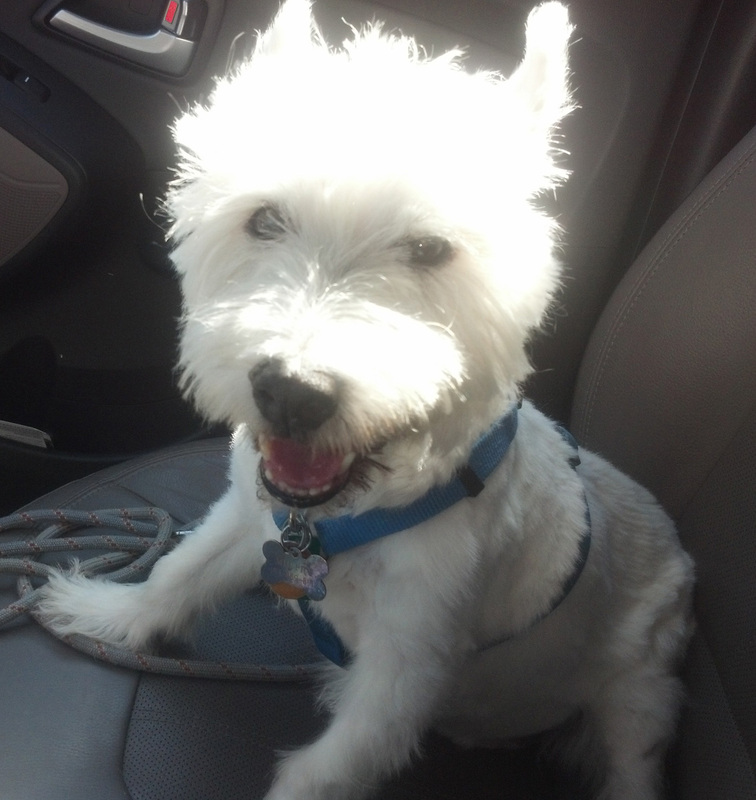 Given Murphy was taking a particularly harsh NSAID as his main treatment for the tumor and at 16 yrs old, he had super senior status, we knew we had to take steps outside of the traditional treatment methods to protect his organs from damage from the meds. We also wanted to do whatever we could to boost his immunity, keep him comfy and hopefully try to find some additional ways to help him fight this cancer and avoid some of the other issues the cancer could cause. Our first visit with Dr. Gabriel was our very first visit ever with a holistic vet. And we are thankful still for taking that step of adding a holistic to Murphy’s vet team and especially thankful that Dr. Gabriel was the vet we found. 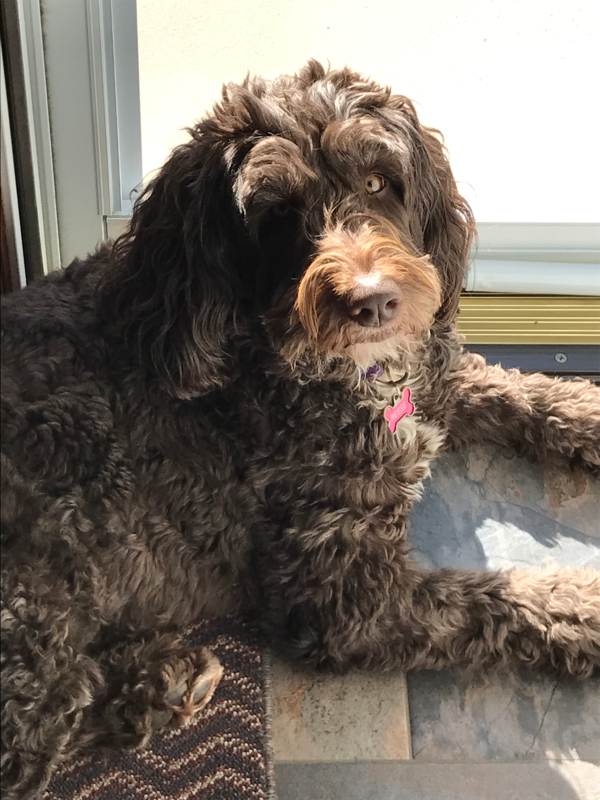 Her involvement was instrumental for us to put all the pieces together for a comprehensive integrative treatment plan for Murphy. From the very first meeting, we were impressed with Dr. Gabriel’s knowledge, particularly on how to integrate the holistic supports within the traditional medicine treatments. She impressed us even more when after the visit, we received emails and texts updating us regarding additional research she did to further tailor the supports to Murphy’s particular needs; we felt Murphy was on her mind a lot throughout his treatment and that Dr. Gabriel was always brainstorming how else to help him. She encouraged us to reach out to her whenever needed (and we absolutely took advantage of that!) which eased a lot of our constant worry. And we very much appreciated how she reached out to other leading vets in bladder cancer treatment to ensure we had all the current knowledge we needed to make decisions for Murphy’s care. She also seamlessly coordinated with Murphy’s regular vet so we didn’t have that additional burden of keeping everyone informed what everyone else was doing, a stress caregivers frequently have to shoulder. Dr. Gabriel continued to deliver this level of support throughout her treatment of Murphy, and as guardians of this sick little dog, we can’t express how reassuring that support was, not to mention how it lessened our overall stress. In the end, Dr. Gabriel’s knowledge helped us keep Murphy going strong for 21 months post diagnosis, far, far exceeding his original prognosis, and he was just a couple months shy of his 18th birthday when he finally passed. But it was never about the length of time that we could keep Murphy going, it was about the quality of that time…and Dr. Gabriel understood that focus completely. She was instrumental in giving Murphy many, many happy and comfortable days while he fought this horrible disease and we were blessed to have her as such a tremendous resource and support. The next dog to find their way into our hearts will have holistic medicine as part of his life from day one with us…our eyes were opened with this experience as to the huge impact an integrative approach to overall health can have. And I would drive many miles to make sure we have Dr. Gabriel on the team again! 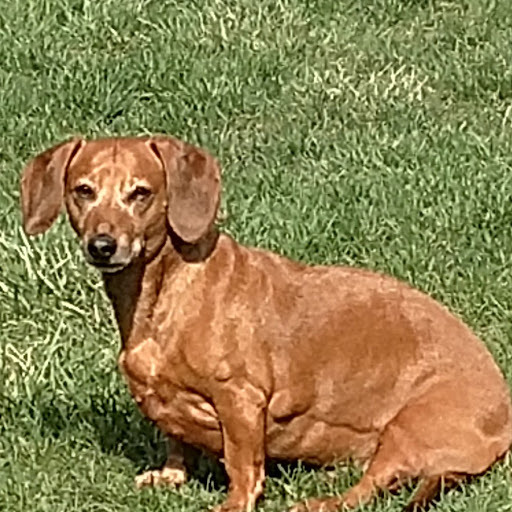 I have been using Dr. Gabriel for over 4 years now on my dachshunds. She was coming to my home, yes she actually makes house calls!, to treat one of my dogs who had two ruptured discs in his back. After surgery he still wasn't walking but we tried to see if the treatment would help. Well one day as she arrived to treat Wicket, Milo (in the picture) didn't come out to greet her as he always does. So I went to find him and he was just laying down so I picked him up and brought him to her. She examined him and he snapped at her when she checked his neck. She noticed him holding up his front paws and said he had a neck injury. So we treated him with some acupuncture as we also treated Wicket. Milo sat in my lap, shaking from pain until the treatment was over, about 45 minutes. As we took out the needles, he started to jump around in complete joy and was his old self and wanted a treat. I could not believe the way he reacted after just the one treatment. So we gave him some medication to avoid the inflammation and we was as good as new. Well, a few years later he really twisted his back. I took him to the vet hospital and they kept him for 8 days and treated him with steroids and anti inflammatory drugs. After bringing him home I noticed that he still wasn't walking around and I would have to carry him outside to go to the bathroom and he would just stand there and wait to get picked up. So after the medication was done and I saw no improvement I called on the healer and she came over that weekend. Milo got 2 consecutive treatments and I saw a great improvement as he would actually walk when he was outside and after the third treatment he was almost like new. He was actually running around and sniffing and scratching as usual. He is now on a maintenance treatment to keep him active. I think that from now on, I will just go straight to Dr. Gabriel and just avoid the lag time to get my dogs healthy. By the way, Wicket is actually moving his legs again even though it has been over 4 years since his surgery so who knows there might be hope yet. Well as long as Dr. Gabriel is around, I am sure it is possible!